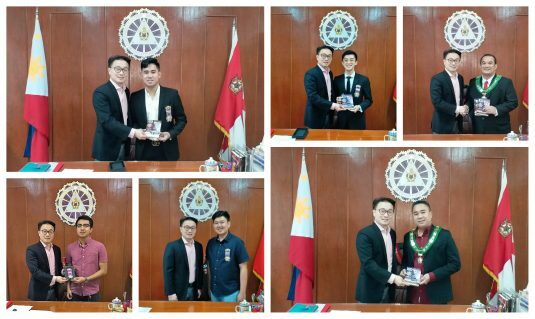 Grand Master Edison Abella of the Supreme Council, Order of DeMolay started to conduct the individual collaring of regalia to the Dad Frank S. Land Centennial Fellows, pinning of the medallions to the Jacques DeMolay and Louie Gordon Lower Centennial Fellows and handing out of the special medallions for the Grand Master Centennial Knights today, February 4, 2019 at the Philippine DeMolay Youth Center in Manila. 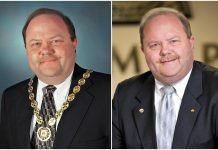 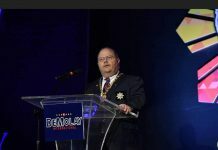 The following Master Masons and Senior/Active DeMolays received their respective Centennial regalia and medallions: VW Jeffrey Co of Sun Yat Sen Masonic Lodge No. 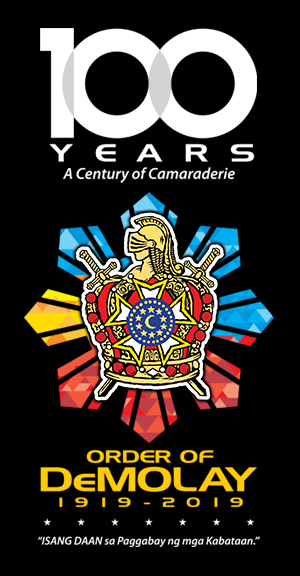 398 for the Grand Master Centennial Knight; VW Bertsan Balanay of Macario Ramos Lodge No. 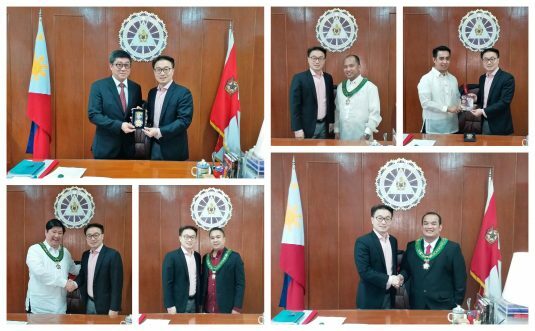 355, VW Cyril Marasigan of Silanganan Lodge No. 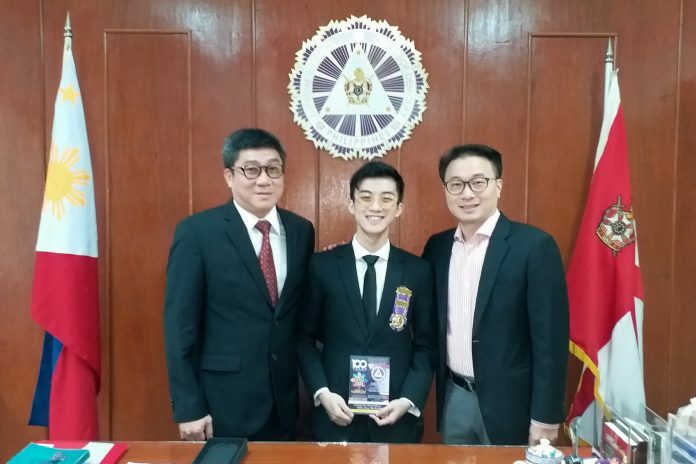 19, VW Teodoro Kalaw IV of Teodoro M. Kalaw Lodge 136, and Dad Jay Herbert Dael of Tayabas Lodge No. 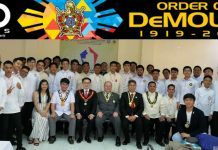 43 for the Dad Frank S. Land Centennial Fellows; Senior DeMolays Jn Yvan Condes of Ernesto C. Mangahis Chapter and Ferdinand Tablac, Jr. of Tirso H. Gador Chapter for the Jacques DeMolay Centennial Fellows; and Brothers Joshua Co of Gen. Douglas MacArthur Chapter, Neil Magallanes of Ernesto C. Mangahis Chapter, and Gian Marasigan of Gen. Douglas MacArthur Chapter for the Louis Gordon Lower Centennial Fellows. 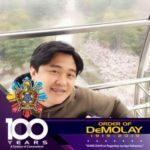 The said recipients also received their entrance/dinner tickets for the DeMolay Centennial Anniversary Celebration on March 16, 2019 at the Philippine International Convention Center and raffle tickets for the chance to win a brand new 2019 Toyota Rush. 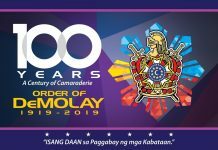 Grand Master Abella also announced that he will be available for another collaring of regalia and pinning of medallions on Friday, February 8, 2019 at 1:00 p.m. to 2:00 p.m., at the Philippine DeMolay Youth Center (PDYC), as an addition to the previous schedule of every Monday, starting February 4, 2019, except February 18, 2019, up to March 4, 2019, from 9:00 a.m. to 10:00 a.m., at the PDYC.